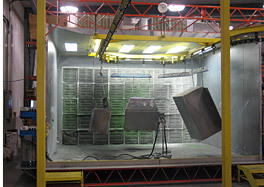 Our powder coat services include a conveyer type batch bake-on powder coating system that can coat parts of many different shapes and sizes. 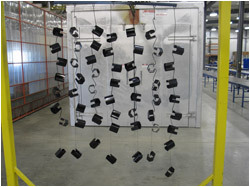 We have a variety of colors available to meet your needs, and if we don't have the color you need on hand we can get it. 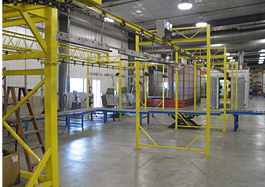 Our capacity is 8' long x 3' wide x 5' high and 400 pounds. 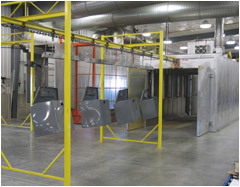 Powder coating consists of a 3-step well maintained process - wash, seal and final coating - giving it a durable rugged finish with a cosmetic look to it.